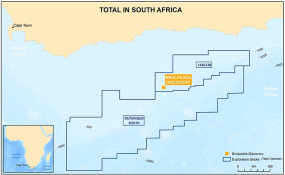 Africa Energy Corp. (TSX Venture: AFE) (Nasdaq First North: AEC)(“Africa Energy” or the “Company”), an oil and gas company with exploration assets offshore South Africa and Namibia, is pleased to announce a significant gas condensate discovery on the Brulpadda prospects located on Block 11B/12B offshore South Africa. Africa Energy holds a 4.9% effective interest in the Exploration Right for Block 11B/12B. Copyright © 2019 Africa Energy. All rights reserved. Distributed by AllAfrica Global Media (allAfrica.com).